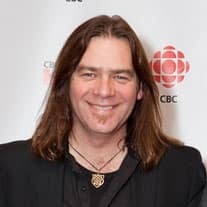 When Alan Doyle was 15 years old, he made the biggest purchase of his young life; he borrowed 300 bucks from his teacher and bought himself a guitar. It proved to be a solid investment. 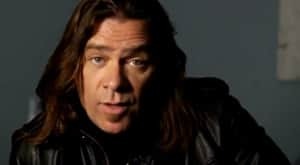 Almost 20 years after Alan started performing in the rowdy dockside pubs of St. John's, his band, Great Big Sea, is still one of the most beloved and enduring groups in Canadian music history. Among their fans is 'The Gladiator' himself, Russell Crowe. Russell and Alan met at the NHL awards a few years back and became fast friends. 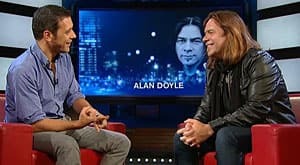 Alan has helped Russell with his music career, and the two even collaborated on an album, 'The Crowe/Doyle Songbook'. When Russell was looking for someone to round out his cast of Merry Men in Ridley Scott's 'Robin Hood', he turned to his Canadian friend. 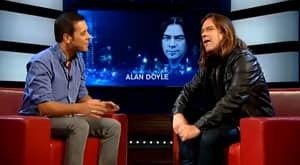 Alan returned the favour last year, when he landed Russell a part alongside Newfoundland's other famous Allan (Hawco), in 'Republic of Doyle'. 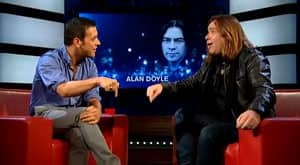 While he's proud of his acting, Alan's still a musician through and through. His newest album, 'Boy on Bridge', is his first-ever solo effort. He says it represents the culmination of the musical journey he's been on since his days playing on the lanes and seashore of Petty Harbour, Newfoundland.